After an early breakfast, we leave Canterbury at 0830 and head down slowly to Dover, before taking the 1200 DFDS ferry to Dunkerque. 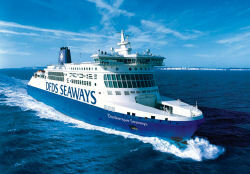 The two hour journey offers a relaxing break, with a chance for lunch onboard, before we dock in Dunkerque Port at 1500. We're then transferred out of the port area by bus. Our ride starts again on the eastern side of Dunkerque, away from the busy port area, and we follow the coastal route through the dunes, crossing the border into Belgium, and passing along through the famous resorts of De Panne and Koksidje-Bad, before reaching the upmarket holiday resort of Nieuwpoort in the early evening. 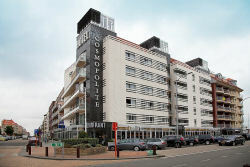 Our hotel for the night is the Cosmopolite, just 50 metres from the beach with its golden sands. 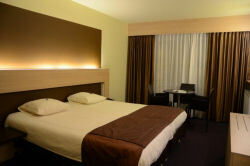 The hotel has high quality twin, triple and quad en-suite rooms, and an on-site restaurant. Once again, massage and aromatherapy services will be available from your arrival until dinner time. There's a group dinner at the hotel resort, with time free after dinner to wander into the town centre, just 100 metres away, and explore the resort.